We always endeavor to keep readers informed about device updates, and if you have the Verizon Motorola Moto X then this news is for you. It seems that the Moto X on Verizon camera update is moving closer, with news of a soak test. Some of you may be aware of a camera-focused update that was already pushed to T-Mobile Moto X users. Shortly after this we heard of soak test invites being issued for an update on the AT&T Moto X, and Sprint and US Cellular versions of the Moto X have also now received the update. Now Verizon has sent out invites for a software update soak test, and although it doesn’t specify more about the update it’s more than likely to be the same camera update that other Moto X variants have received. Soak tests are used to check that software updates are ready for a wider release, so that if there is a problem only limited numbers of devices are affected. Those taking part in this Verizon Moto X soak test must be part of the Motorola Feedback Network and need to have a registered device. The update that has been doing the rounds for the Moto X brings significant camera improvements as well as a number of fixes. At this point there’s no way of telling when the soak test will begin or be approved, but updates are usually pushed out very soon afterwards. At least Verizon owners of the Moto X now know that the update for their variant of the phone hasn’t been forgotten. 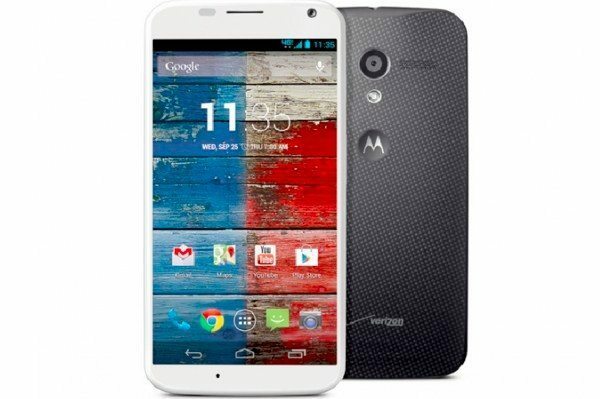 Do you have the Moto X on Verizon? Are you frustrated that the Verizon variant is the last on the four major US carriers that will receive the update? Yes. I seriously considered changing carriers because verizon is always last on updates for any device. My motorola xoom was almost exactly a year later to receive android 4.1 than the wifi version. Some of that sure is moto, but a year really verizon. If more timely updates aren’t provided by verizon my next cell phone will be somewhere else.